Ordered a stack of PCBs from China - I'll report back once I've tested it in a few weeks likely. As for the sensor, I probably will find some time to play with light sources and it this weekend. I have LEDs, an old 250W SE MH setup with an old Hamilton 14k and XM10k bulbs, and T5 actinics + blue+. I can do some spot comparisons to my existing SQ-120. I'd definitely like to pickup one of your boards if you have the spares. I was a day or two away from buying the USB 200 version until I saw this thread. For these tests, I zipped tied the two sensors together and kept their positioning fixed. These results are... very different. I did a few other tests, on my LEDBrick units installed. This is a violet + RB + blue + cyan + coolwhite + (very limited PC amber, green, red). Again, different direction than I would expect. Its dark outside so I can't baseline it against the sky. If the SQ-500 was consistently low I'd expect something, but the MH result being a good match doesn't imply its direct measurement error. Ambient light in all cases was off or minimized. Yea I would have absolutely expected heavy blue fixtures to increase in par, not decrease. I'm interested in how they compare against sunlight. I did a few more reads though and the li-cor (which most people say is the gold standard for par metering) almost always read lower then the apogee when tested with LED's, so I'm curious if we're finding out that they're not as powerful as we thought they were? MH w their complex spectrum could create offsetting errors. Calibrate w a green LED. Both should measure the same. If the 500 is Sig off that might give you a clue. To be honest, I wouldn't really expect them to output equal uA. Different filter pack in the 500 would most likely create a "darker" sensor. Not to mention a different photodiode. In other words you need a different conversion factor. Theoretically the 500 will be low here as well. Correct the "blue centric" by the ratio. 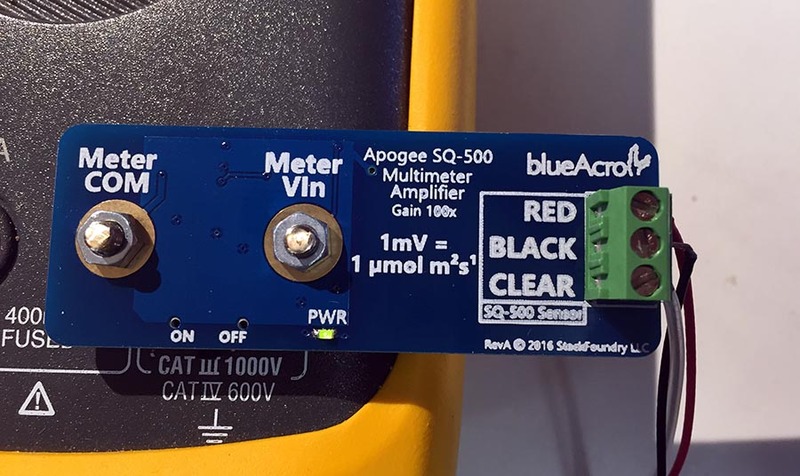 As a side note, Apogee States they need to correct the software in the meter body. May just be a change in a scaler. Last edited by oreo57; 03/04/2016 at 08:19 PM. Conversion factor is different. From a voltage output standpoint, the mV to PAR multiplier of the SQ-500 is 100x, while the SQ-120 is 5x. Humor me.. Test the green diode..
Specs and reality can be 2 different things.. That is why one has "calibration"..
490-500nm diode would be best..
how many diodes have the exact same response?? It is "off" for a reason, just need to find it...Even assuming your Apogee is correct is a leap of faith..
less than 11 % for LEDs. factors for different electric light sources. sorry, just lots of related stuff.. I DO see where you are coming from though..
LI-190 reference quantum sensors under high output T5 cool white fluorescent lamps. Last edited by oreo57; 03/04/2016 at 08:44 PM. I've always considered my Apogee meter a reference and haven't felt it needed to be completely accurate. Dana Riddle has said that allowing for an error of 5% with LEDs gave him enough information to judge. The greater range of the new sensor seems inconsequential given the number of other factors that could affect it, IMO. I'm happy to be corrected with factual research ! Find More Posts by K.C. [QUOTE=K.C. ;24379838]I've always considered my Apogee meter a reference and haven't felt it needed to be completely accurate. Dana Riddle has said that allowing for an error of 5% with LEDs gave him enough information to judge. If your goal is local delta measurements, then by all means the original works great. PAR measurements were over 10% out under a real LED lighting system, which makes the older unit a poor standard for that application. Yeah for me just a reference point with a multiplier in the back of my mind and notes as to locations that various corals seem to like. For my purpose I would rather spend an additional 200 dollars needed to upgrade my existing unit on some new corals,...a lot of reefers have no reference at all,.... I think a par meter is a very useful tool to have especially when you are using led lighting. Don't have all the parts yet, probably by this weekend. It works great, at least in initial testing. Well within specification for a 100x amp. I've only assembled one, but have parts for a some more. As part of a beta test with anyone interested, I'm happy to let some go at cost (which is low, but I haven't computed it yet) - feel free to PM me. 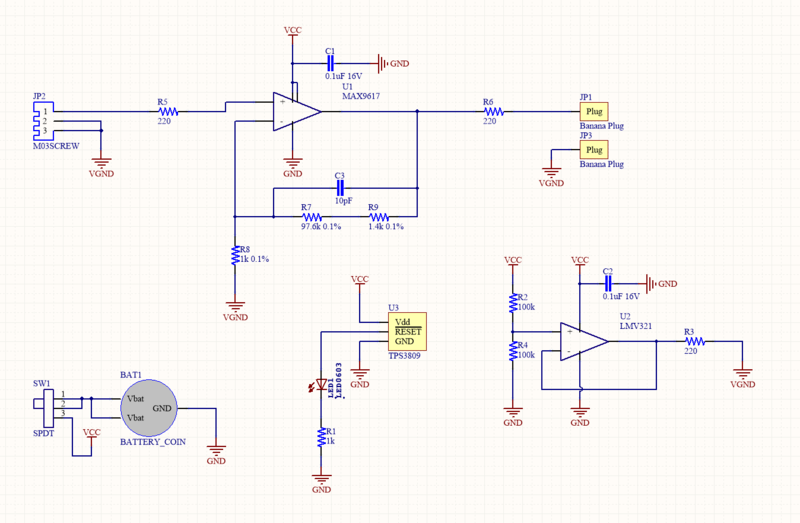 Really nice looking board, I am not sure but you seem to be using Altium designer like me. While I like your idea, I think your going to find that this is not as easy as you may have thought. your going to have a lot of problems working with op amps in the uV range and accuracy is going to be really hard to achieve. 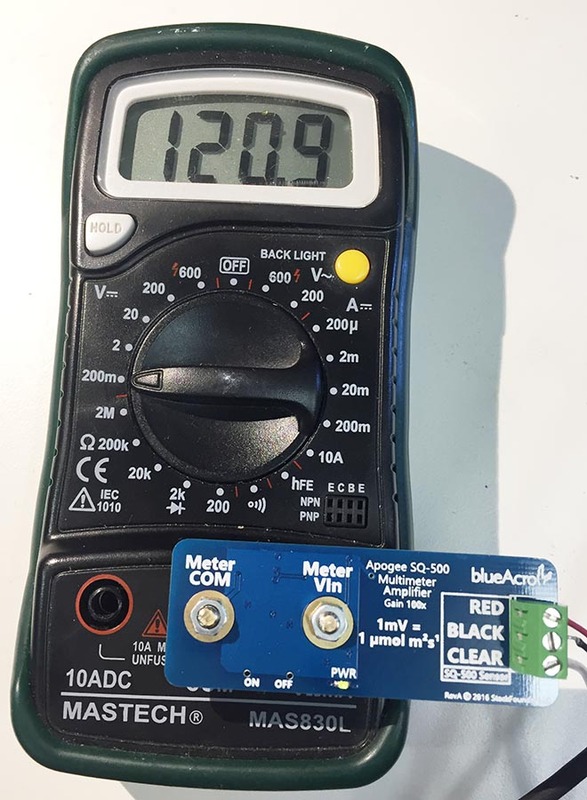 Good luck, I made a complete meter for my older apogee unit, that multiplied the voltage by 5 then I used a regular Chinese LCD voltmeter display that reads up to 2V max. When pointed at direct sunlight at noon I get about 1.980V or 1980 PAR which is close to the 2000 they suggest. My fluke 87V shows that the circuit works well, but it did require a bit of work even in the mV range to get it to have an even slope across the input range and I had to fiddle with the resistor values to get the gain exactly right and the offset. I suspect yours will be a lot harder to get just right. Good luck, it's nice to see some other EE's on the forum. The Optimist says the glass is half full, the Pessimist says it’s half empty, an engineer only see's a glass that’s twice as big as it needs to be! Yup, Altium. Once locked in, forever maintenance fees. I'm still stepping through the full range, but from my calibrated benchtop DMM the gain is tracking as expected (error < 1 PAR, or < 1mV after gain). Excellent work. You might want to make a second revision and just add in the display and case. 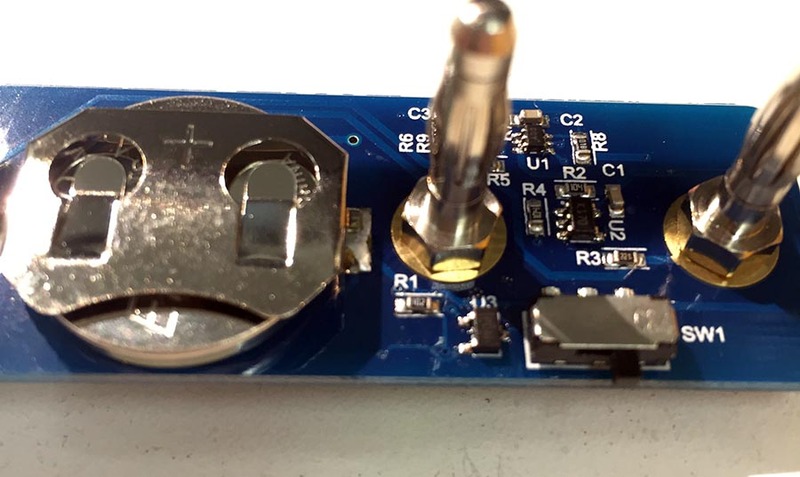 Of course you will need to add a 9v battery to power the display but you could ditch the other battery and just build a small DC-DC converter to power the existing circuit, also it makes the unit become an independent meter like the original. They use to have some nice cases on eBay that have a 9v battery compartment and a cut out area for the display. BTW if your not opposed to the idea, please post the schematic, it's good when stuff like this is archived for people who might want to build one. Stacking shields and such always seemed like a PITA. Maybe an inline interface board? Sure. Just need to get the data into a controller architecture to take action or raise flags.